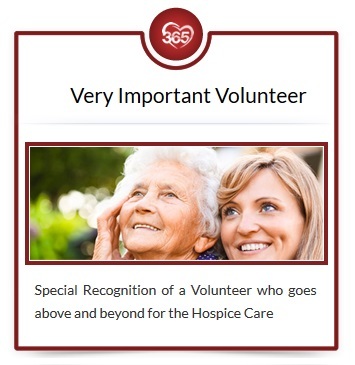 Volunteers can share their time and talents in many ways. 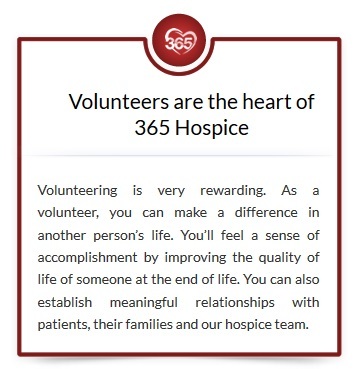 A comprehensive orientation program that includes hospice philosophy, caring for the terminally ill, and grief and loss education is provided to familiarize a volunteer with the goals of hospice and to ensure a rewarding and successful experience for both the patient and the volunteer. Upon completion, patients and volunteers are then paired according to their interests and desires. Student volunteers find many opportunities to gain valuable experience while meeting their school’s requirements. We do not discriminate on the basis of race, color, national origin, disability, sexual orientation, communicable disease or age in admission, treatment or participation in its programs, services and activities or in employment.